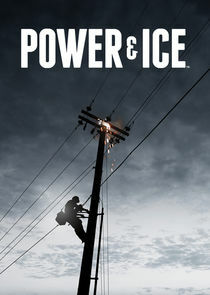 "Power & Ice" follows three Alaskan power companies as they compete in the dog-eat-dog world of line building and maintenance in the most unforgiving conditions on earth. The main focus of the series is the dangerous work these daring linemen tackle, day in day out, miles from safety in sub zero temperatures. We'll follow them on the biggest jobs that Alaska has to offer, in the dead of winter, when freezing temperatures, avalanches, and devastating storms ravage the state's power grid. This series is packed with real-life risk and massive obstacles every day. ALB races to finish their work in Tuntutuliak, while EPC ends a successful winter with their riskiest job yet. City Electric's Bam Bam tries to make a comeback after his neck injury, but receives shocking news.